Mumbai: Reserve Bank of India (RBI) on Thursday announced a slew of developmental and regulatory policies, along with its first bimonthly monetary policy statement for 2019-20. The central bank postponed the linking of floating rate retail loans to an external benchmark, which would allow smooth transmission of interest rates from the RBI to a commercial bank’s lending rates. It has freed up bank liquidity for stimulating lending, formed two committees for creating a secondary loans market, besides seeking to improve customer service by payment service providers. Banks were given some more time to assess the adoption of external benchmarks for finalising their lending rates. The RBI said it will hold consultations with stakeholders and work out an “effective mechanism for transmission of rates”. In its December statement, the RBI had said that commercial banks should benchmark their rates either to the RBI’s repo rate, or any other benchmark interest rate published by Financial Benchmark India Private Ltd (FBIL). FBIL is an independent company set up by three industry associations: Foreign Exchange Dealers’ Association of India (FEDAI), Fixed Income Money Markets and Derivatives Association (FIMMDA) and Indian Bank’s Association (IBA). The RBI’s decision were prompted by its discussions with stakeholders, which focused on how banks will manage their interest rate risks, while transiting from fixed interest rate-linked liabilities, against floating rate-linked loans. The other concern was the time that banks would require to upgrade their IT infrastructure. The central bank also announced the setting up of two new committees–one to examine the efficacy of introducing a secondary market in mortgages, and the other to study the development of a secondary market for corporate loans. The expert committees are expected to submit their reports in August 2019. “Globally, residential and commercial mortgages are supported by well-lubricated securitisation markets, whereby mortgage originators package portfolios of mortgages and resell them in capital markets as mortgage-backed securities or covered bonds. Well functioning securitisation markets can enable better management of credit and liquidity risks on the balance-sheets of banks, as well as non-bank mortgage originators and, in turn, help lower the costs of mortgage finance in the economy,” it said. However, in India, the secondary market is primarily characterised by banks directly buying the housing loan book of a non-banking financial company (NBFC) or a housing finance company. The RBI committee will examine the state of the housing finance securitisation market in India and study international best practices, including lessons learnt from the 2008 financial crisis. The second panel will examine loan contract standards, digital loan contract registry, ease of due diligence and verification by loan buyers, online platform for loan sales/auctions, and accessible archive of historical market data on bids and sale prices for loans. The RBI also decided to provide an additional 2% liquidity window by tweaking the liquidity coverage ratio (LCR) norms. LCR indicates the proportion of highly liquid assets held by banks to meet short-term obligations. “We have allowed an additional 2% of LCR to reckon as Level 1 high-quality liquid assets for the purpose of computing the LCR of the banks. 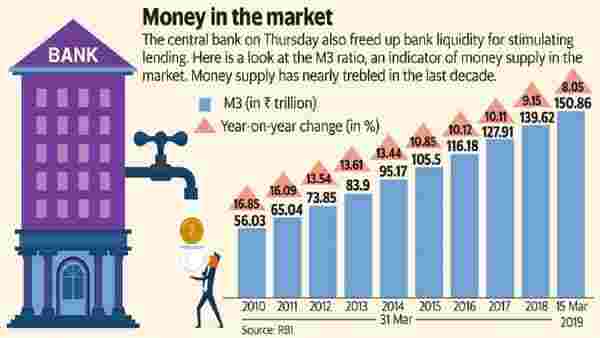 While this move will harmonise the liquidity requirements of banks with LCR, it will also release additional liquidity for lending by banks,” said RBI governor Shaktikanta Das. The central bank also allowed systemically important non-deposit taking NBFCs to apply for authorized dealer category II licence. The RBI also proposed to implement international settlement of securities through international central securities depositories (ICSDs). The central bank will soon release a framework for harmonising the turnaround time taken by authorised payment systems for resolving customer grievances. It will also initiate an exercise to benchmark India’s payment systems to measure India’s progress against payments systems and instruments in other economies.